Whether it’s the exquisite Mediterranean beaches or the intricate details of century-old architecture, Barcelona is sure to awe. It’s Spain’s most popular city and anyone who visits will surely have stories to tell about the magic and energy Barcelona exudes. Few European cities can offer you the wide diversity of cultural experiences that you’ll find in this city. Spend some time getting to know Barcelona, its people and everything it has to offer! Visit Cuitat Vella, Barcelona’s “Old Town” and experience the popular main strip, La Rambla. You’ll be mesmerized by the couple in sleek black attire showing you how Spain does Ballroom Dance. Look over your shoulder and you may see a big gold “statue” that just tapped someone on the shoulder. La Rambla has no shortage of street performers ready to entertain at a moment’s notice. Put your comfiest shoes on and take on the slopes of Montjuic for the most breath-taking views of Barcelona. You also get to experience the grandeur of the Palau Nacional, acting as the National Art Museum of Catalonia. Don’t forget to watch the enchanting light and water show at the Font Magica, or The Magic Fountain. Sports fans can also take a peek at the The Lluis Companys Olympic Stadium, host of the 1992 Olympic Games. For the Art and History fanatics, La Sagrada Familia won’t disappoint. This Roman Catholic minor basilica started construction in 1882 and was taken over in 1883 by Antoni Gaudi. Gaudi combined Gothic and curvilinear Art Nouveau styles and devoted his life to this church. A notable feature of this basilica, other than its towering spires and intricate facades, is that the building itself is unfinished. La Sagrada Familia wasn’t Antoni Gaudi’s only achievement in Barcelona. His intriguing play on lines and curves can be seen all over the city. A most interesting dwelling is the Casa Mila, designed around two large, curved courtyards. The wavy shapes of the exterior, along with the white tiles are meant to evoke a snowy mountain. The same surreal, ornamental style was given to the Sagrada Familia schools and the Park Guell. The Gaudi House Museum and his multicolored mosaic salamander, el drac, are notable highlights. Fitting in with Gaudi’s chosen style is The Gothic Quarter of Barcelona. In the center if the old city, it stretches from La Rambla to Via Laietana, and from the seafront to Ronda de Sant Pere. Although some changes have since taken place, many of the buildings date back to the medieval times and even back to the Roman settlement in Barcelona. With a Labyrinthine street plan, this will make for some wonderful strolls through the Cuitat Vella district. If your feet simply cannot take anymore walking, Barcelona is home to some of the best beaches on the Mediterranean Ocean. Grab a book and some SPF and soak up the sun. Relaxation will be key after all of the sight-seeing. Another option is to head to La Boqueria, the open-air public market and the city’s foremost tourist landmark. Take in the sights and smells of fresh vegetable and seasonal offerings. Though summer and fall are the most popular time to visit, Barcelona’s temperatures do not drastically fluctuate. Average temperatures in summer linger around 27 degrees Celsius, with the hottest months being in July and September, perfect for beachgoers. In the winter, a mild 8 degrees Celsius will only require a basic winter coat; no need to bundle up here. Although you won’t need a visa for a stay shorter than 90 days, there are some preparations you can make to alleviate any potential upsets. Barcelona’s Tourism Association offers the “Barcelona Card” which allows unlimited travel by bus, metro and airport train. 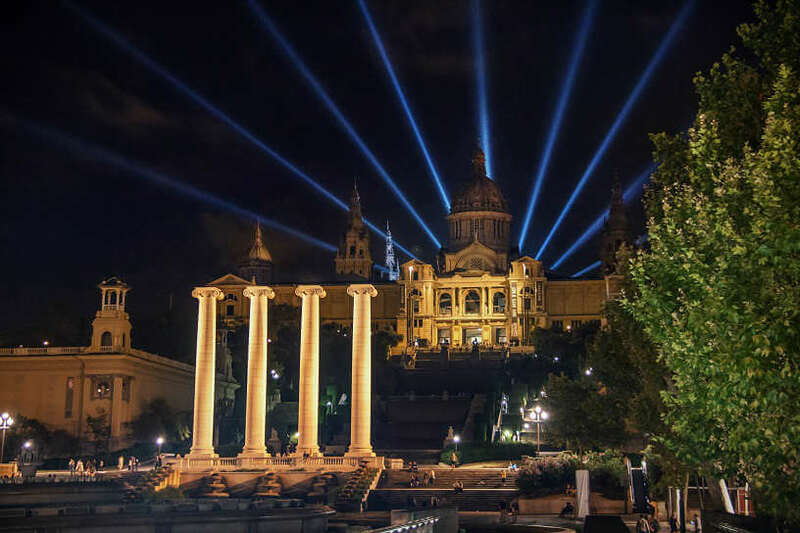 You also receive free entry to Barcelona’s best museums, plus many other discounts on tours, shopping and nightlife. The price ranges between 34 euros and 58 euros depending on the amount of days you need it. It will save you more than a few euros and prevent any frustration with public transportation. Prepare for the worst ahead of time and invest in a money belt. Barcelona is named the pickpocket capital of Europe and this will help prevent thieves from taking your belongings right from your pocket. It is also best to only carry around cash needed for the day plus a copy of your passport and leave the rest of your money plus your original passport in the safe at your hotel. Learn about some of Spain’s most popular scams and have a copy of the Australian Consulate’s help line in case of a lost or stolen passport. Travel Insurance will be your most important ally in the off-chance a problem does occur. Find a top-quality travel insurance policy with Cover-More that will cover all of your needs while in Barcelona and protect you against the unexpected.